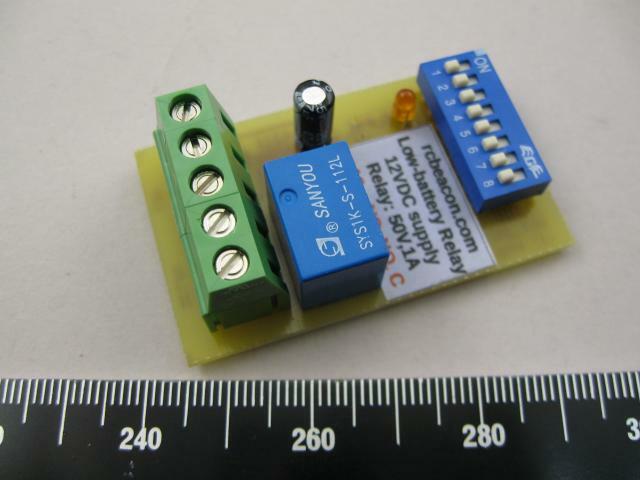 This is a low voltage detector for 12V battery monitoring. When the applied nominal 12V supply drops below the trip set-point, the relay changes state. 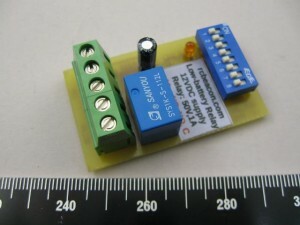 This can be used to switch off equipment or trigger an alarm etc. when the battery voltages drops too low. The DIP-Switches set the trip voltage within the range 9.8 volts and 14 volts. The LED indicates normal operation and a low voltage tripped state. Mounting: Typically using industrial grade double sided sticky foam: see notes below. Default DIP-Switch setting = 3, 5 and 8 on. This provides a low voltage trip at approximately 11.2V and a restore from trip at 12.5V. This would suit most 12V battery systems.